Welcome to the Twin Falls Corn Maze! Check out our hours and prices. 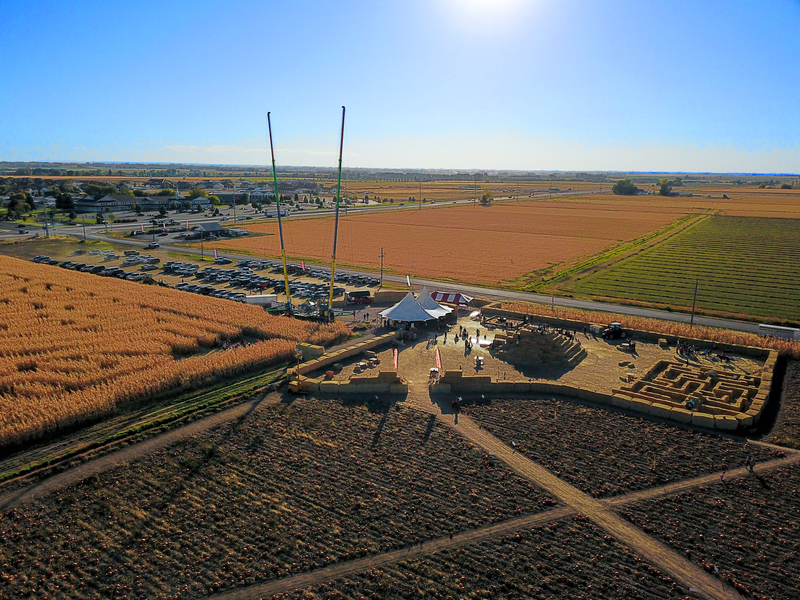 Twin Falls’ biggest corn maze is back and better than ever! In addition to the 12-acre maze, we have added many more attractions to the Kid Zone, including a giant bounce pad, a hayride, corn & apple cannons, and a zombie paintball course! We are also excited to have Sprouts: A Farmer’s Market again joining us with their pumpkin patch, situated right next to the maze! We are located at the corner of Poleline Rd West + Grandview Dr North, directly north of St. Luke’s Hospital.